Perfect for transporting large groups, these buses feature a very comfortable seating area with great leg room, ensuring the passenger experience is a relaxed and safe one. 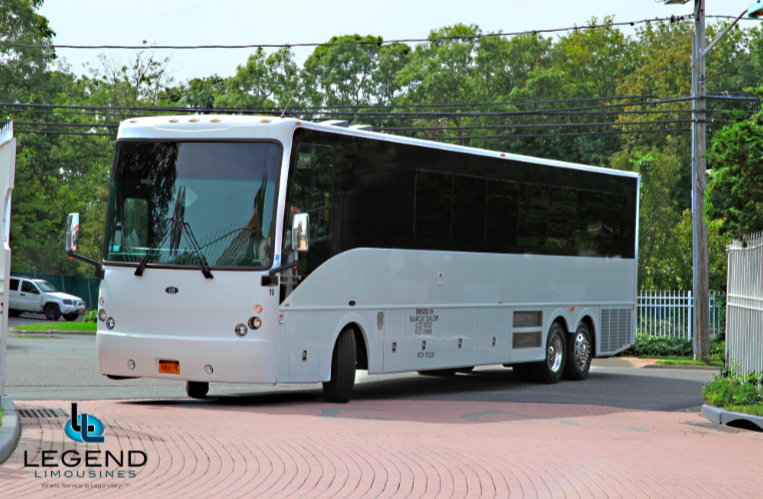 Our Fleet of Prevost MotorCoaches are clean, sleek, and are not marked with many logos, designs, or phone numbers. Legend’s Coaches feature a clean & Modern bathroom, high back reclining seats with reading lights, TV, AM/FM, Cassette/CD, PA System, overhead luggage compartment, Heat and AC. Under-belly luggage compartments have the capacity to hold luggage for 55 passengers.